A very successful weekend of Matsubayashi –Ryu Karate in honor of Soke Nagamine— about 75 attended over 3 days. 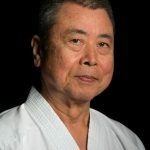 “It is with deep regret and sadness that we announce the passing away of former President of WMKA Mr. Yasuharu Makishi, Hanshi 10th Dan on May 31,2013” He was a long time president of WMKA under Soke Takayoshi Nagamine and worked hard until Soke’s Passing away last year. He was 73-years old, born on November 24, 1939 and passed away on May 31,2013. His funeral service will be conducted on June 2nd, tomorrow from 11:00 am in Naha city. The chief mourner will be Mrs, Aiko Makishi. Dear all WMKA and EMKA members, I hope all of you are having success and happiness in your daily lives as well as in your karate life wherever you live. 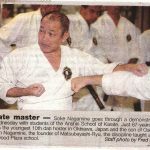 It is close to one year since the passing away of Soke Takayoshi Nagamine on April 25, 2012. It caused great shock and sorrow for all members around the world. Especially, here at Okinawa Headquarters all was completely halted for more than four months. 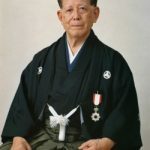 Dear all WMKA and EMKA members: Honoring Soke Takayoshi Nagamine and his Legacy Most of you have already enjoyed and been impressed by the Magazine article of Soke Takayoshi Nagamine on Official Karate Website. The magazine article is a successful co-product of all WMKA & EMKA members around the world. 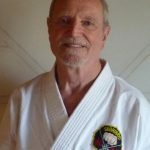 As you can see, the magazine article was coedited by both Mr. Des Chaskelson and Mr. Reece Cummings together with many Dojo Owners and members who contributed their tribute quotes to Soke. I want to express my gratitude from the bottom of my heart to everyone who worked on the magazine article. 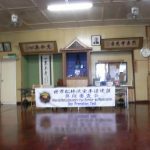 To all World Matsubayashi-ryu Karate-do Association Dojo Owners: Announcement from Okinawa Headquarters (2) Please enter the secure page and click on the link to the new “Dojo Owner’s News Page” for a very important announcement. 75th Anniversary Festival of Matsubayashi-Ryu and the Original Honbu Dojo 13th Anniversary Tribute to Grand Master Shoshin Nagamine’s Passing The ceremonial celebration of the 75th anniversary of the founding of Matsubayashi-Ryu Karate-Do and the 13th Memorial Karate-Do demonstration for the late Grand Master Shoshin Nagamine was a large and exciting event. 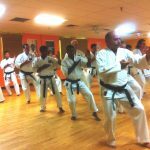 The event was attended by dojo owners and students from all over the world. Attendees included participants from Spain, Norway, England, Ireland, Germany, Okinawa, Japan (mainland), New Zealand, Australia, Argentina, Dominican Republic, Canada and the USA. Many participants attended classes at the Honbu Dojo prior to the main events, and, at times, the Honbu was quite packed with students. On Wednesday afternoon, November 3, 2010, a Dan grading was given at the Honbu with a panel of high ranking judges from several countries. Many were promoted to ranks ranging from Shodan to Hachidan levels.